At Mouldy's Archery, we have an indoor archery range. Learn to shoot in the comfort of heat or air conditioning inside. 1 hour video: $12 per person, $10 for three or more people. 1/2 hour video: $8 per person, $6 for three or more people. Shoot from the comfort of our temperature-controlled indoor archery range! 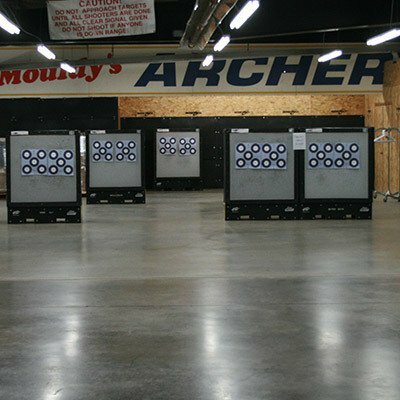 Mouldy's Archery's indoor shooting range allows you to practice your aim year-round, out of the rain and snow, and in a comfortable, temperature-controlled atmosphere. Set up a shooting time today! 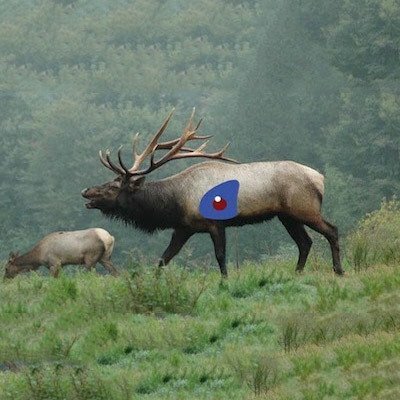 Want to shoot, but don’t have a bow? We’ve got you covered! Rental bows are equipped with sight, rest, peep, kisser button and rope loops. We provide 5 arrows and wrist release. Instruction to get you started right along with range safety procedures.